Nothing makes a first impression like a business card, and it’s been a while since the team here at Scribendi updated ours. Our goal with this particular iteration of the Scribendi card was to make it very 2018. Our edition of the magazine is, in a word, bold: it features dark triangles, loud lines, and a lot of creative liberty. We wanted our card to represent us that about us—about this unique team of people who put their blood, sweat, and tears into creating something cohesive and original. It features, therefore, the triangle motif that peppers our publication. At the same time, we know that these cards will be used by future generations of Scribendi staff. For that reason, we kept the design minimalist too. It can easily be repurposed for a different vibe. But there’s another new feature: a line where the Scribendi representative handing you the business card can write their name. This way, you know exactly who you connected with. 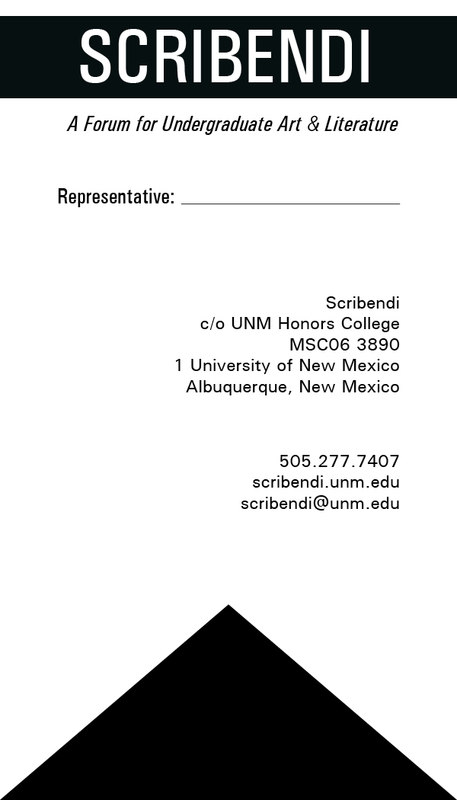 Keep an eye out for these new business cards as Scribendi makes appearances all over the community! And we hope to see you grabbing a few at our opening reception on April 28th.